Combine the bread flour, sugar, yeast and kosher salt in the bowl of a stand mixer and combine. While the mixer is running, add the water and 2 tablespoons of the oil. Beat until the dough forms into a ball. If the dough is sticky, add additional flour, 1 tablespoon at a time, until the dough comes together in a solid ball. If the dough is too dry, add additional water, 1 tablespoon at a time. Scrape the dough onto a lightly floured surface and gently knead into a smooth, firm ball. Preheat the oven to 450 degrees Fahrenheit. Grease a large bowl with a splash of olive oil, add the dough, cover the bowl with plastic wrap and put it in a warm area to let it double in size (about 1 hour). Turn the dough out onto a lightly floured surface, and roll the dough out to a 1/2 cm thickness. Using a six inch bowl, trace and cut out four circles. 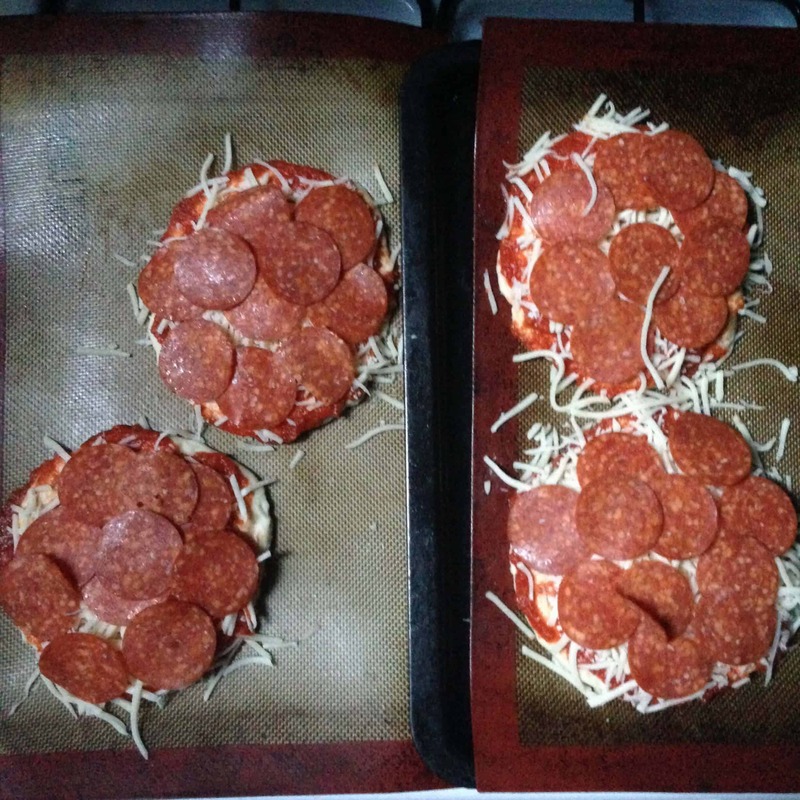 Place on a non-stick baking mat, and cover completely with pizza sauce. 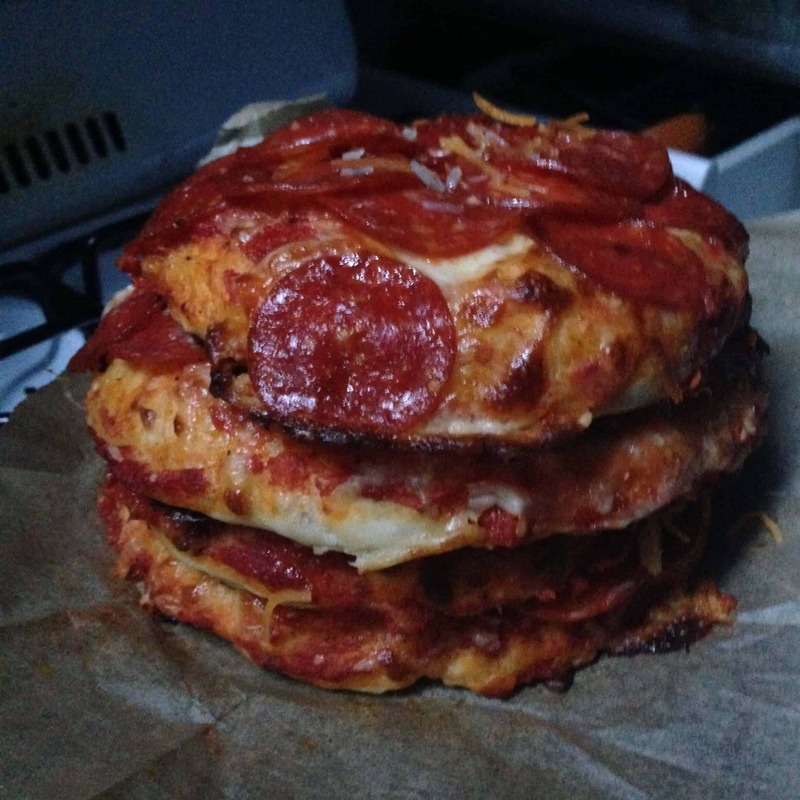 Spread 1/2 cup of cheese and several pieces of pepperoni on top of each pizza layer. 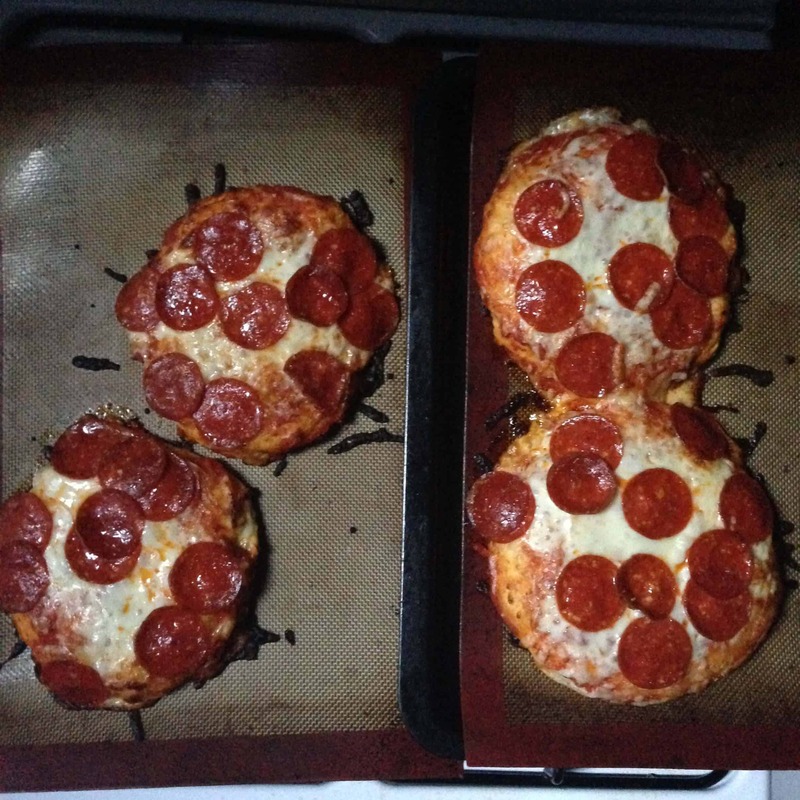 Back for about 10 minutes, until the edges of each pizza begin to brown. Remove from oven and let the cool for 10 minutes. While the layers cool, roll out the dough scraps, and cut a rectangle 6 inches by 19 inches. 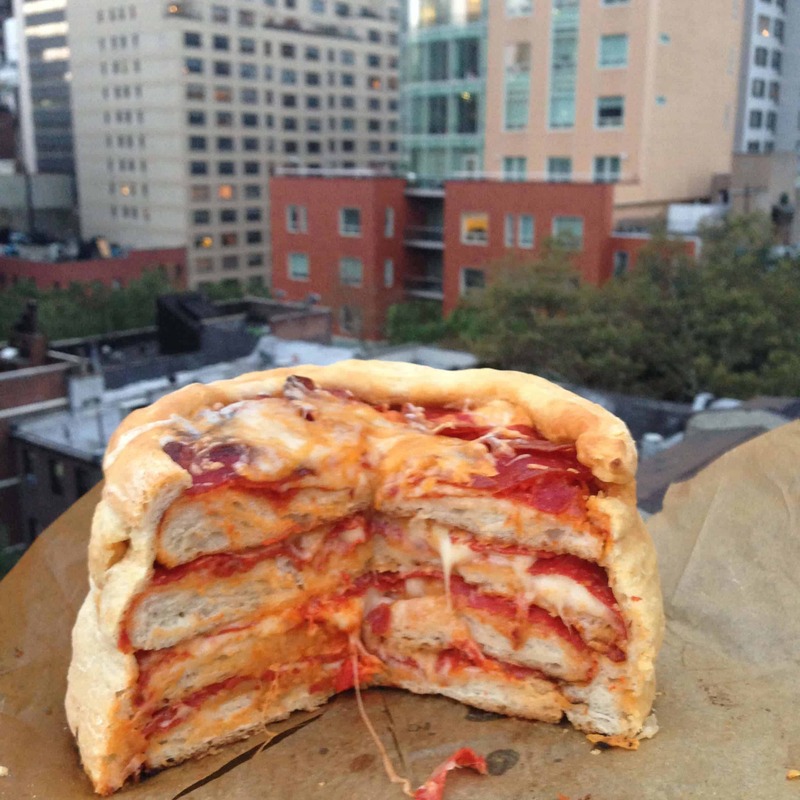 Stack the four, cooled pizza layers on top of each other, and wrap the rectangle of dough around the pizza stack. 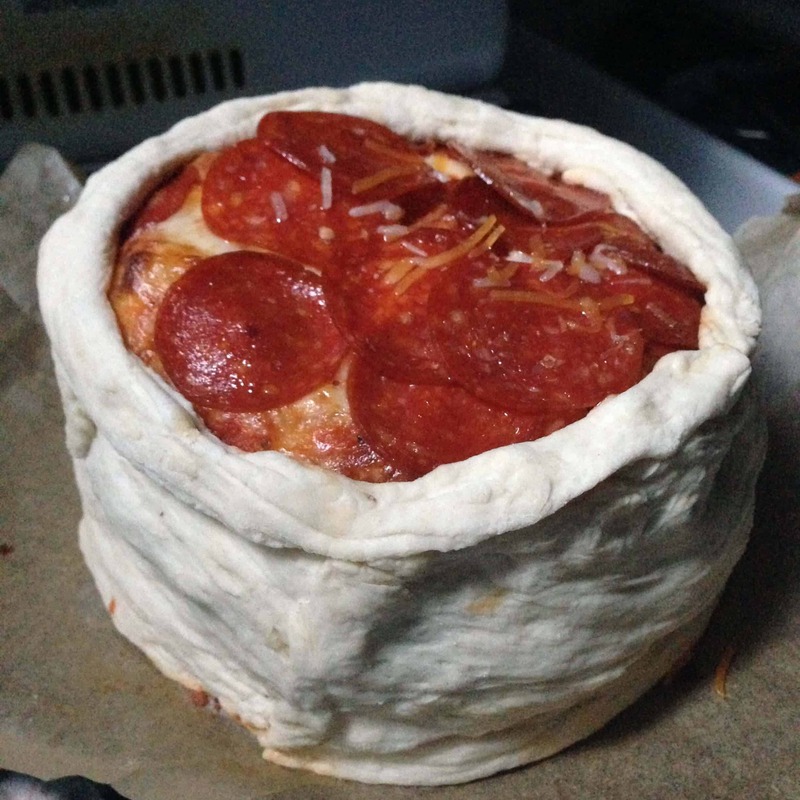 Roll the extra dough at the top of the pizza into a crust, and top with an additional handful of cheese. 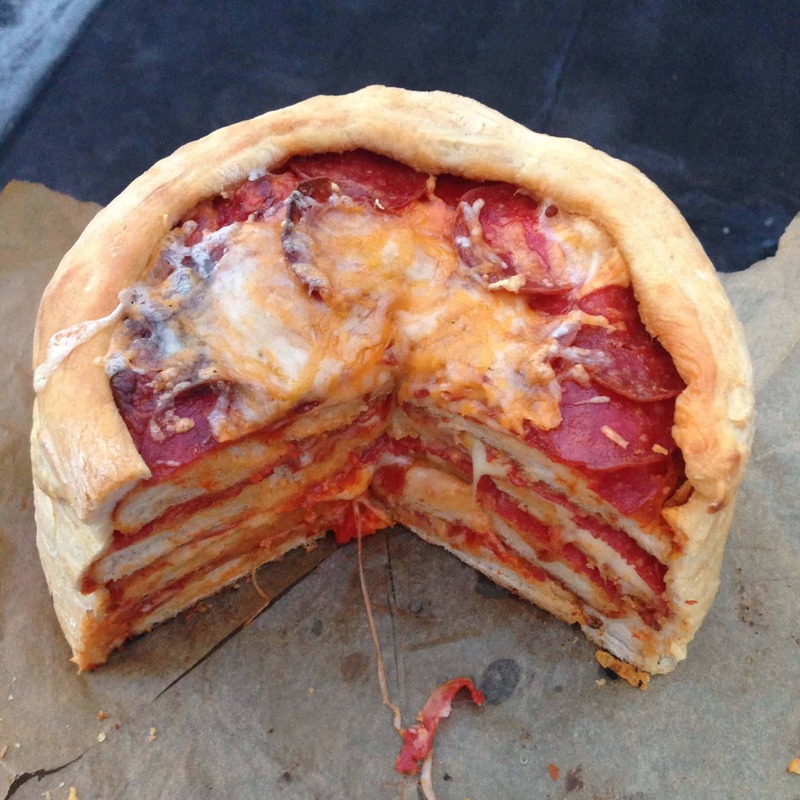 Bake the pizza cake on a silicon baking mat for 15 minutes, until the exterior crust is golden brown. Remove from oven and let cool for at least 10 minutes before cutting. Serve warm with additional pizza sauce. This recipe comfortably serves about six people. thats a pretty clever Idea. Thanks for sharing!